Complete with drain hole with non-splashing rubber seal and optional basket holder. 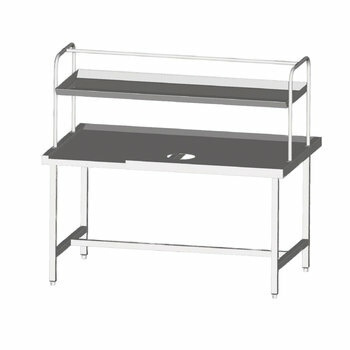 Combined with a connecting table, fits one of the entry solutions available for Sammic rack conveyor dishwashers. It can also be combined with a connecting table and a loading table for corner situation. Drain hole with non-splashing rubber seal.